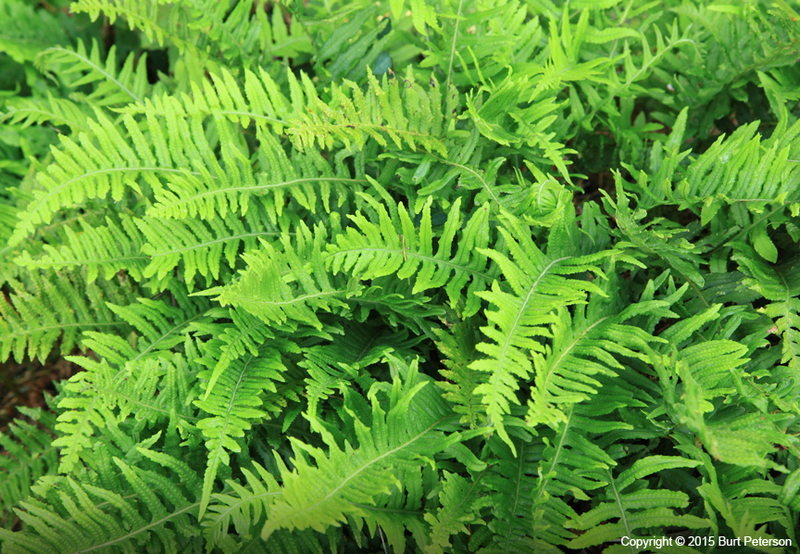 The fronds of this evergreen fern grow to 12″ long. Its pinnae hve pointed tips and attach to the center rib without stems. 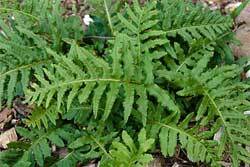 The fronds unfurl in the fall and are green all winter, going dormant in the summer. Found on logs and tree trunks at low elevations. 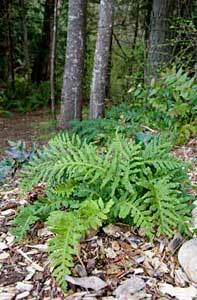 Shade to part sun and moist soil. The rhizomes smell and taste like licorice.